Chemically Enhanced Centrifugation, CEC, otherwise known as ﬂocculation, is a method to enhance the remove of ﬁne solids in WBM through a centrifuge. Small quantities of additives are mixed with theused WBM, which coagulate and ﬂocculate ﬁne colloidal solids into larger clumps, which are then easily removed using a centrifuge.CEC reduces the volume of waste mud generated as it allows the clariﬁed ﬂuid to be reused to build new drilling ﬂuids. Overall the total volume of waste, the size of the pits, and the quantity of water required per well are all reduced. During drilling with WBM, ﬁne colloidal solids build up, eventually leading to a requirement to dump or dilute. CEC offers an alternative a sit allow the ﬁne particles to be coagulated, ﬂocculated and removed by the use of a centrifuge. A coagulant is added to neutralise the negative charges holding the ﬁne colloidal particles apart followed a ﬂocculent (typically a polymer) to bridge together the small ﬂoccs into larger clumps, which can then be removed by gravity separation or a centrifuge. The CEC system is a containerised compact unit designed to meter in the correct quantities of both coagulants and ﬂocculent. It has tanks to store the prepared chemical solutions and metering pumps to accurately dose them into a mud mixing line. The ﬂocculated mud should be centrifuged at low speed to ensure the clumps are not broken up by excessive shear. Nowadays, the oil drilling company more and more find the advantages of application of slim hole drilling in the oil exploration. This type slim hole drilling technology is coming from the mining industry. From the name, we could see the slim hole drilling actually represents the small diameter coring drilling. The slim hole drilling not only provide the cores for the drilling, it also reduce the drilling cost by nearly 30% comparing with the conventional drilling, especially for the environmental sensitive and remote area drilling projects. For remote location, the smaller core hole rig package also greatly reduces the logistics and transportation expenses. A well with diameter that is smaller than 8 1/2 would be the most accepted criterion for the slim hole drilling. Reducing the borehole diameter can significantly cut the drilling cost as less mud and casing would be required. And the slimhole rig weighs sometimes only about one fifth of the conventional rig. In additional, the saving of slim hole drilling will also come from many sources, such as less site preparation, easier equipment mobilization, less cuttings to dispose, reduction in the amount of cosumables and smaller equipment. Besides the cost saving, there are advantages of slim hole drilling that makes the operation particularly suitable for sites demanding on a low impact to the environment. Although, the slim hole drilling is actually increasing clearly, the concern on the safety is inhibiting the rapid spread of slim hole drilling. It is available for an operator to assemble the slim hole drilling equipment within 3 to 6 months with no previous experience. But it will not be easier to achieve for the deeper hole and offshore drilling. The application of slim hole drilling still depends on how successful this technique would be developed in the next few years. 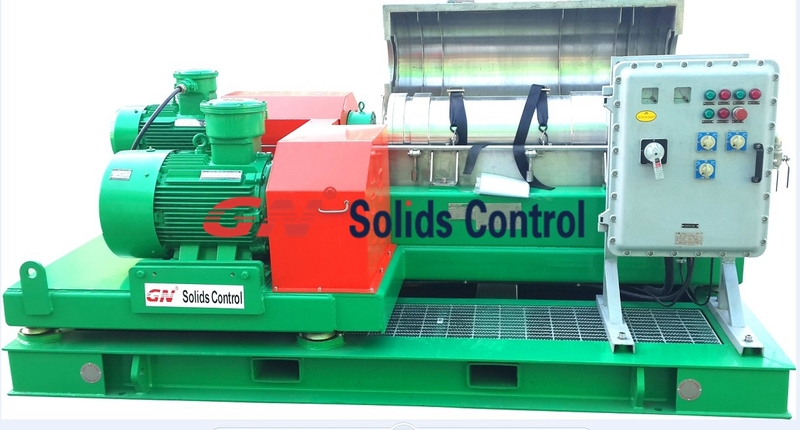 No matter for the coring drilling and slim hole drilling for oil exploration, the rig may request a drilling fluids recycling system, if any requirement on the mud system, GN Solids America would be ideal supplier you could rely on.